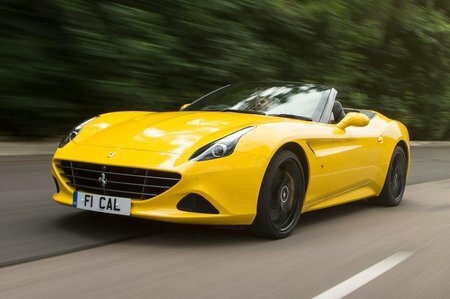 Ferrari California T Review and Deals 2019 | What Car? In some ways, the Ferrari California T attractives a bit of unfair negativity. Sure, it isn’t the most agile car Ferrari makes, but that’s because it’s primarily designed to carry two people long distances in comfort at high speeds. It certainly has no problems with the latter, because its twin-turbo V8 propels it to 62mph in just 3.6sec from a standstill. For many, this speed, the fact that it looks the part and sounds like a Ferrari will be enough, but it all comes at a price. Its £150,000 price tag puts the California up against performance open-tops such as the Mercedes-AMG SL 63 and Porsche 911 Turbo Cabriolet. For those who want more agility, Ferrari will add its Handling Speciale pack, which stiffens the suspension and quickens the gearbox among other enhancements. It certainly works, but given that the California T is more suited to cruising, we’d go without it.